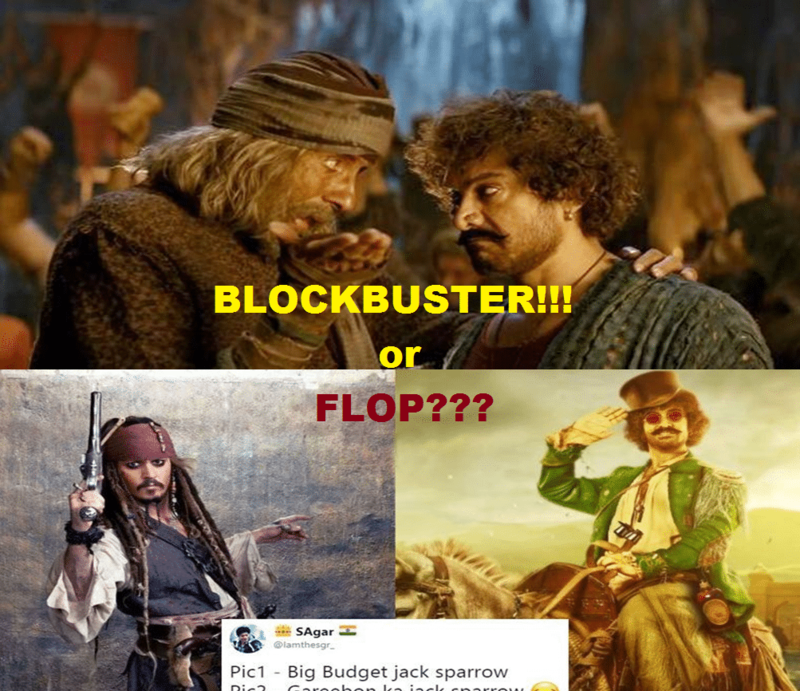 Thugs of Hindostan is probably the ‘best contender’ for trolls and memes on social media this year, after Race 3, thanks to the insanely negative reviews it’s received after releasing on Thursday. But the ultimate paradox is that despite heavy criticism from audiences and critics alike, this Yash Raj Film has become the biggest grosser in a single and opening day of release itself! Official reports have confirmed that the Amitabh Bachchan-Amir Khan starrer flick earned around Rs.52.25 crore on day 1 only, that is November 8th, 2018! Yes, you read that right. The movie also stars Fatima Sana Sheikh and Katrina Kaif. But as it had to happen, the movie is getting a lot of attention from the social media, especially the Twitterati who have now started trolling the film even more (they are doing this since the trailer of Thugs of Hindostan released more than a month ago). Whether it’s the visual effects, the songs, the story, the performances of the cast, or the direction, everything related to this movie is getting mocked and insulted, if we say in a more specific manner. And its not some made-up thing to project the film in a bad way, but actually the audiences have shunned the flick. And yes, they again called it a shameless copy of Pirates of the Caribbean also. Why? Because they have watched it now, so finding similarities became much simpler. Before its release too, it was called a Pirates of the Caribbean copy, with social media comparing many scenes, characters and action sequences, in detail. Some people after coming out of theater were asked about their reviews and feedback, and they literally called out to director of this movie, Vijay Krishna Acharya, to give their money back which they spent in buying the tickets for watching Thugs of Hindostan! And after all this, Twitter users also began to make fun of the film, while also expressing their anger for the filmmakers and the movie itself. Twitter is now flooded with lots of memes about people’s reactions after watching Thugs of Hindostan. You won’t be able to contain your laugh, seriously. Scroll below to see for yourself.